WARNING: I am not responsible for any negative effects on waistlines or hips. 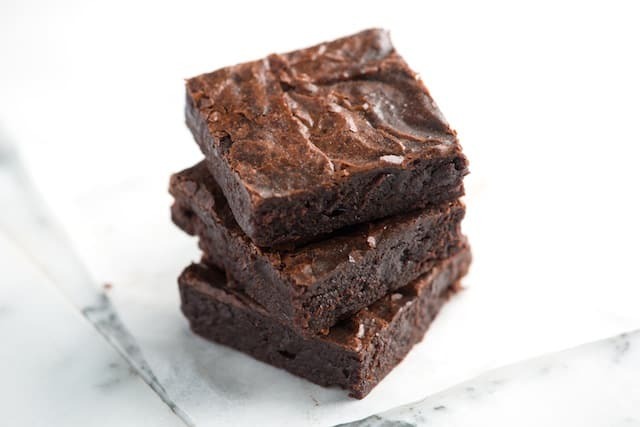 This is perfect for boxed brownie lovers — the dense, moist and fudgy texture is not all that different from what you can expect from the boxed mixes. It get’s better, too. 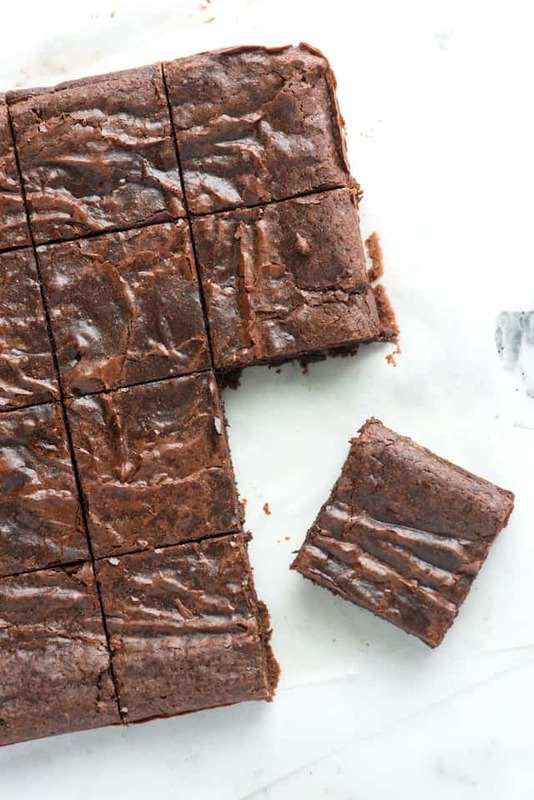 This recipe makes richer, more flavorful brownies — without any fuss. They are one-bowl and come together in minutes. There’s also a good chance you already have the ingredients on hand. The recipe is slightly adapted from Alice Medrich’s Cocoa Brownies found in many of her cookbooks. Medrich is a genius when it comes to chocolate. Search “brownie recipes” on Google and you’ll see that many recipes call for chocolate that’s melted into butter, then mixed with sugar, eggs and flour. (Not that they aren’t delicious, too). This recipe is different — and smart. We love these rich and chocolaty brownies with dense, fudgy middles and crinkly tops. They are one-bowl and come together in minutes. There’s also a good chance you already have all the ingredients on hand. Feel free to use either natural or Dutch-processed cocoa powder for these. Both work well and will taste slightly different. If you get a chance, try both and see which is your favorite. NOTE: I used the micro instead of a double boiler for one of the first steps. I also just greased the pan instead of lining with parchment paper which I don't have. I have been searching for a non cake homemade brownie recipe for a long time and this one is the best I have found. Very rich so cut into small squares.